14 x 8 x 2 3/4 inch anti-static foam shippers. Great anti-static protection for fragile items. 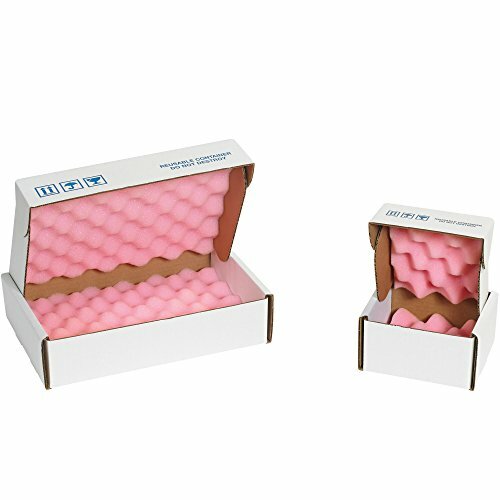 Anti-Static convoluted foam inserted into 200#/ect-32 corrugated shippers. Shippers arrive with foam glued to the top and loose on the bottom. Shippers hold items in place to prevent slipping.